There is an important update for 'SuperTube'. We changed the app name of free version to 'Tube Pro' and logo icon. Because many users can't update their app after the YouTube Pro was removed. The logo icon is very similar to Youtube pro's. Convenient users to find and download. Tube Pro's functions are the same as paid version's. But it still contains advertisements. We aslo added new features in the version. 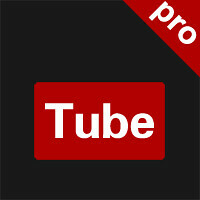 Tube Pro enables you to play YouTube videos in HQ and HD by 3G or WiFi and download videos to your phone for free. 5.Use Oauth2.0 as the login model. If you want to remove adverts, Please buy the paid version. If you have any question, please send email to support@fscode.net. Please click here to try.